In current times, it would not be easy for you to locate any enterprise, which doesn’t acknowledge the significance of digital security. With each of industry segments; from logistics & distribution to healthcare, from telecom to trading, from engineering to marketing and designing; all rely on various digital tools for gathering data and information so as to perform their organizational work processes and business-oriented tasks. Nowadays, massive amount of data is produced, and this has never been the case ever with data being produced in such huge quantities and at such great speed. Such massive amount of data and information along with omnipresent internet connectivity is something that also lures the hackers, so data leak risks increase manifolds. This has lead to new breaches being made public every other day, and thus, organizational security has climbed the business priority ladders, becoming one of the top concerns today. The conventional approach towards data security included the strategies mainly aimed towards a company’s built-in IT infrastructure, which consists of antivirus software, access control, DLP and firewalls, which no longer guarantees total enterprise security against data breaches. With the infusion of technology in every nook and corner of the world, work systems have become all the more dynamic than ever before with a degree of ‘never seen before’ work flexibility. This also paves way for inevitable easy data slips through conventional data security gates with not many data leak precautions. Among these is the growing popularity of BYOD (bring-your-own-device) working models, Smartphone technology and flexibility to work remotely, coupled with increasing cloud reliance as well as 3rd-party services, has all led to continuous exposure of critical organizational data to various unauthorized people continuously, as data leaves the in-house company networks and enter into vulnerable places. 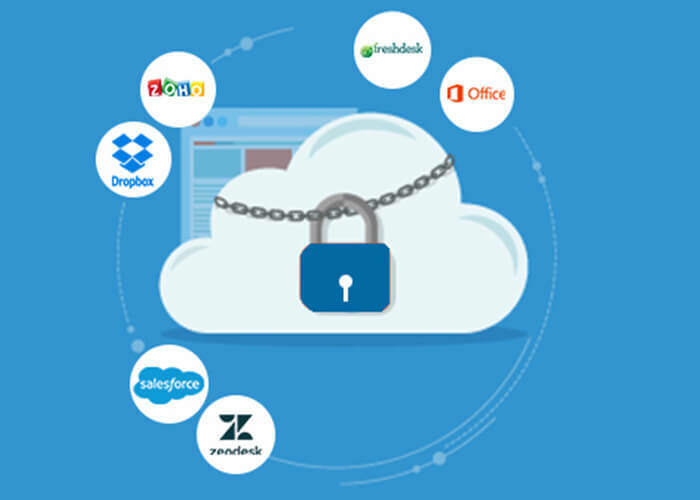 To make matters worse in terms of enterprise security, firms are also losing control over their organizations applications as well as services which their employees are using for communication purposes and for sharing information across company networks. IT teams are slow in responding to user demands, which leads to shadow IT, implying the use of unauthorized 3rd-party apps or even self-built solutions for solving everyday company problems. It is becoming highly tough to predict data’s detailed control as to what employees are doing with that data. A novel approach to data security is emerging as a feasible option for enterprises to look into their data security models against outside threats and inside neglects. What does this data-centric approach chiefly implies is that now focus of companies would shift from in-house networks and built-in IT infrastructure to company’s sensitive data and information that needs protection within the organization. When the whole system size can’t be fully ascertained, then it’s simpler to identify/protect critical data sets. In a data-centric security approach, organizations first need to define which data is highly sensitive for their work operations. This process can be differentiated and described as per the industry being talked about, but some data types like personal information and financial data of the company are usually important to be safeguarded through different regulations; as such types of data are usually among those flagged as highly sensitive. Once it is established that which data is highly sensitive then, the enterprise security protocols can be defined with some pre-determined policies that safeguard sensitive data, and so the companies can be ready to build their data security models. Data Loss Prevention solutions or DLP solutions are also supporting organizations in their processes of auditing/reporting, by giving them accurate information regarding access of data dealing with transfers of sensitive data within and outside the company networks, which can also be saved and presented thereafter to senior authorities detailing about compliance with different regulations being imposed upon. By enforcing such data protection policies and regulations, enterprises are beginning to be held responsible and accountable for the security of their sensitive information. They can now no longer hope that if they secure their networks, they can also prevent their sensitive data inside it. It is thus very crucial that such sensitive information must be first discovered, and then classified and then special rules must be applied upon it for protection purposes to ensure better enterprise security. This is the reason why transitions to data-centric security systems including DLP i.e. Data Loss Prevention solutions are not just inevitable, but totally a necessity of current corporate milieu.